STEP 7C: Assuming my estradiol is high, how can I lower it naturally? The poster's physician simply does not understand or know how to manage male estradiol, the "bad" estrogen.. The man wants to manage his own testosterone and estrogen levels through supplements, which he considers to be a more "natural" approach. The man does not have access to pharmaceuticals, perhaps because of lack of insurance, a tight budget, etc. The poster's physician believes that high levels of estradiol are okay and the man wants to take matters "into his own hands". So the patient wants to take matters into his own hands. Now, before one considers this option, let me mention that I have written a couple of pages that discuss the best natural ways to lower estradiol and, in my opinion, these should be your first line of defense: Estradiol and Weight Loss and Lowering Estradiol by Adjusting Dosage and Frequency. CAUTION: Any pharmaceutical or supplemental method of lowering estradiol is potentially dangerous, because, if you happen to lower your estradiol too low, you could end up with bone loss (osteoporosis). Best to work with a (knowledgeable) doctor on this. But remember that around two thirds of men in the U.S. are either overweight or obese. The extra aromatase in fatty tissue will generally raise baseline estradiol - the "bad" estrogen - levels and lower baseline testosterone levels (if you are not on TRT). And many men can dramatically lower their estradiol levels simply by losing weight. In other words, looking for any kind of an estrogen blocker can in some cases just be masking the fact that a man has too much body fat. It's always better to treat the root cause, eh? So, that said, is there a legitimate use for natural ways to lower estradiol? Yes, I believe so, assuming, of course, one is monitored by a physician, and that is simply for this simple reason: virtually all men in modern societies are inundated with estrogen. Bisphenol-A is on receipts and in plastics. Phthalates are in many plastics. Pesticides and many household chemicals as well as food additives can all increase a man's estrogen load. Unfortunately, rarely are men exposed to things that increase their T levels to balance things out. And this is undoubtedly one of the big reasons that we see fertility and testosterone levels falling worldwide. However, as you will see below, the natural estradiol blockers used by HRT clinics and sold by supplement companies have some major issues associated with them in my opinion. If you are considering of the standard methods, I highly recommend what you read below. men on HRT are particularly concerned with this, because their estradiol levels climb with the boost in testosterone. Clinics and doctors will sometimes suggest dubious solutions, such as DIM, zinc, zinc/copper and chrysin, that may put their guys at risk long term. I got my estradiol in line by getting my body fat down to 12% and by going to subQ cypionate injections and lowering my dose a little. I believe most men can control their estradiol much more safely by using that strategy as opposed to the supplements below. 1. Calcium D-Glucarate. This has become the most widely used estradiol-lowerer on the Peak Testosterone Forum. And for good reason: it has a good side effect profile - nothing is perfect of course - and also can help the body detoxify and lower cholesterol / LDL-C. I actually covered this popular supplement on a separate page: Calcium D-Glucarate Lowers Estradiol. 2. CAUTION: DIM. DIM (diindolylmethane) is a well-known estrogen controller and a phytochemical in a number of plant foods including cruciferous vegetables and kale. Of course, researchers noticed these properties and a number of studies have shown promising results. DIM is known for switching the estrogen profile from the "bad" metabolites to the "good" metabolites. However, DIM aficionados have gone one step beyond the studies and swear by Indolplex DIM, a DIM that is supposedly better absorbed than regular DIM and actually lowers estradiol levels.. I believe both iHerb and the parent company sell it. For the record I have no affiliation with this product. However, it has a good reputation in the steroid community for lowering estradiol levels and so I am just passing along information. However, there are two things to be aware of: a) although Indolplex DIM is fairly widely used in the alternative and steroid communities, there are no studies that I know of and, therefore, very little data on side effects and b) it is fairly expensive costing around $31 as of this writing for 60 capsules. And how do you determine dosage? Well, you're forced to go by word of mouth. One of our posters on this thread of the Peak Testosterone Forum, basically got into a hypogonadism user group and found a word of mouth dosage and stuck with that. This is a big disadvantage in my mind as Arimidex dosing is fairly well known. An experienced doctor can fairly well look at your estradiol levels along with a couple of other factors and determine a reasonable starting dosage for Arimidex. Indoplex DIM seems much more art than science. Sure DIM is in food, but once you megadose, is it really "natural" any more? I'll leave it up to you and your doctor to determine if this is a more natural solution. 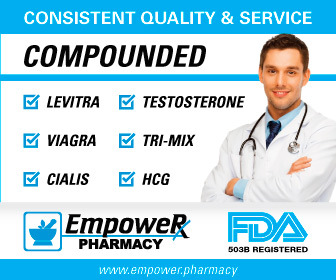 HRT USERS: Some men on HRT may find that they only need to control estradiol with a supplement or medication for six to twelve months, because often the body's testosterone and estrogen levels are stabilizing. You may be able to get away with lowering estradiol for six months while your a) estradiol levels stabilize or b) you lose weight. Zinc is also known for its ability to limit the activity of aromatase. I don't think anyone has any doubt that it works to a certain extent and probably most powerfully if you are zinc deficient. However, I don't know of any studies that actually show zinc being used to clinically lower male estrogen/estradiol levels. (If you know of one, please post it on The Forum!) Furthermore, I do not read of the steroid guys reporting zinc as a silver bullet in this area. WARNING: I suspect the reason is that, to get a significant E2-lowering effect, one would have to consume a lot of zinc and this is probably risky based on the opinion of many experts. I cover this in my issue article on Zinc Dangers where I discuss how zinc supplementation could easily lead to increased risk for prediabetes, prostate cancer, dementia and other chronic diseases. Too little zinc and too much are both potentially huge issues. So the bottom line is that taking a reasonable dosage (1-3 RDA's) of supplemental zinc, especially vegetarians and plant-based eaters, is not a bad idea. You may get a little bump downward in estradiol levels and many other benefits from taking zinc. However, but don't expect it to solve elevated estradiol levels. CAUTION: My HRT clinic, in guys whose estradiol is not too high, will use a combination of zinc (15-30 mg) and copper (2-4 mg) per day to pull down E2 (estradiol) levels a little. Zinc and copper compete and so many experts worry that giving supplemental could lead to copper depletion and inflammation. However, I have some concerns with this, because copper has been implicated in a number of neurological diseases and excesses are hard on neurons. These same experts believe that we are slowly poisoning ourselves in many cases with copper pipes. You'll have to do your own research and decide where you stand on the issue. 4. Chrysin. This is an old and well-known aromatase inhibitor. It has a spotty reputation for a number of reasons, including poor absorption. However, a few years ago, Life Extension release a turbo-charged version that basically included piperine. Piperine increases the absorption rates of many herbals and supplements and it seems to work well with chrysin. For example, two of the anti-aging physicians, Drs. Smith and Whitcomb, that have answered the Peak Testosterone Questionnaires have mentioned (unprompted) chrysin as a regularly-used estrogen controller. And the fact that Life Extension, which is a well-respected supplement company, backs it is also a sign of its efficacy. WARNING: Are there concerns with chrysin? One side effect that has been reported is the slowing down of thyroid function. Obviously, you don't want to solve your estradiol problems just to create a new thyroid issue. See my link on Controlling Estrogen for a study that shows this as well. That said, I do see a number of alternative and even mainstream physicians on the Peak Testosterone Forum utilitizing it with their patients. Perhaps taking a before and after snapshot of the thyroid would be a good idea? You can see most of the standard tests for hypothyroidism in my page on Testosterone and the Thyroid. 5. Grape Seed Extract. Many studies have shown Grape Seed Extract to be an aromatase inhibitor . It also, in vitro at least, gives Vitamin C a longer shelf life. However, Grape Seed Extract has a couple of cautions that need to go along with it: 1) in combination with Vitamin C it apparently raises blood pressure  and 2) it may slightly decrease free testosterone because it can raise SHBG, the protein that binds to testosterone. It also is known for improving venous insufficiency. That said, Grape Seed Extract has many properties that will very likely help with erectile dysfunction and perhaps serve as a cheap substitute for Pynogenol. For more information, read about it on my page covering Grape Seed Extract and Erectile Dysfunction. However, there is one problem in using Grape Seed Extract as an aromatase inhibitor: you would simply have to take too much. For this reason, I have read of very few men actually using it for this purpose. 6. I3C (Indole-3-Carbinol) + Calcium-D-Glucarate. One of our members, who had his estradiol slammed down too low by Arimidex, used these two supplements to successfully manage his estradiol. He said these brought him into the lower 20's and was very stable, i.e. he did not have any significant swings in estradiol. His dosage was: "Source Naturals 500mg. Morning and Evening, and Indole-3-Carbinol 200mg. with lunch.."  Again, you'll have to do your own research and find out if you think that these supplements are more safe than low dose Arimidex (anastrazole). Long term effects are poorly understood in both. WARNING: The researcher above that tied increased liver cancer to DIM also tied it to I3C. 7. White Button Mushrooms. I make the case in my page on Mushrooms: A Natural Aromatase Inhibitor, that some research suggests that white button mushrooms, eaten in sufficient quantity, may actually lower estradiol levels a bit. And one of our senior posters found that his estradiol jumped from 25 pg/ml to 79 pg/ml when he stopped eating white button mushrooms. Now, admittedly, he ate a lot of them, but this is a pretty big effect as well. Again, read the page above to see the evidence that he may have been spot on.